I actually have another post for you this evening! There in one day? I'm on a roll (for now) guys! lol. 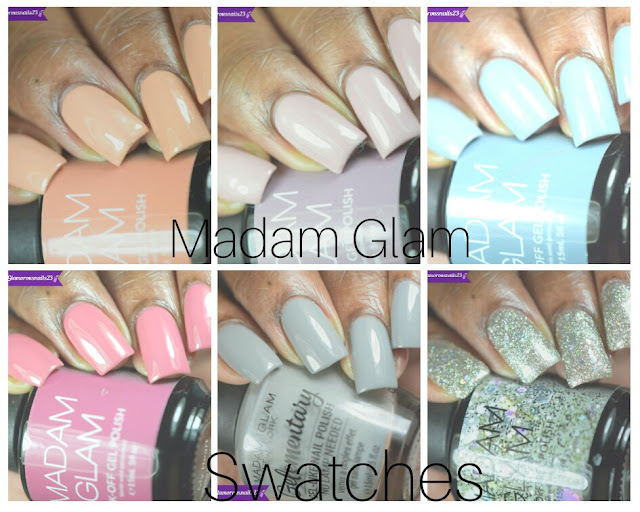 I've got another nail art challenge that I'm participating in this month to show you. 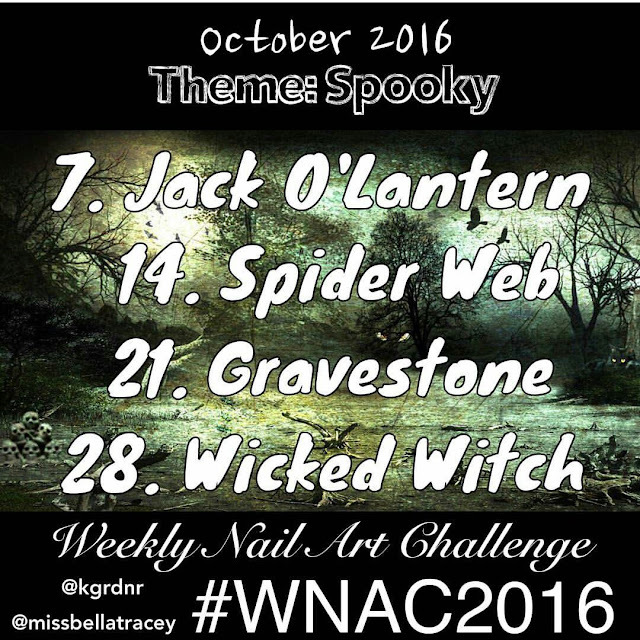 It's time for this months WNAC 2016. Will Halloween being this month the theme is Spooky which I wasn't too surprised by. Let's see what I did for the first prompt! Let's take a look at the prompts for this months challenge. As you can see I've got another spider webs prompt. Help! Lol. The first prompt for this challenge was Jack O'Lantern so I figured I would dabble in some freehand drawing and you know what I'm going to pat myself on the back because I really like how these came out! So much. I had a lot of fun doing this mani! I had to add a matte top coat and I think that this look is my absolute favourite! What do you think about this mani? 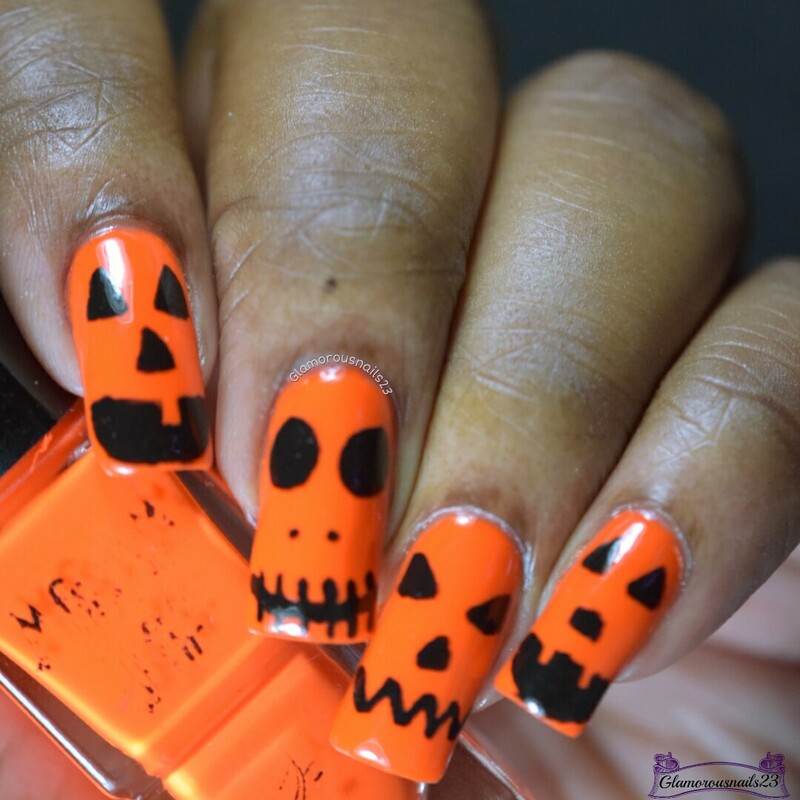 Will you be doing any Halloween nail art this month? Are you excited for Halloween? Thanks for stopping by! I actually kind of like this matte, and I wasn't sure I would! 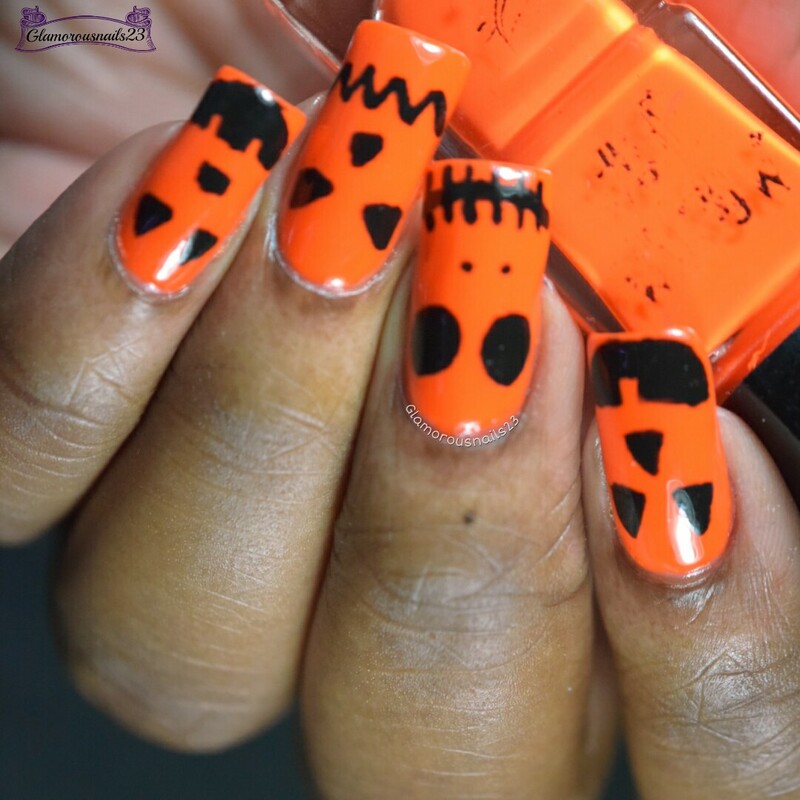 I'm so excited about all the Halloween manicures!! The orange is great, bright and opaque! And of course you matted it!! Cute! That orange is amazing! Awesome! The perfect balance of cute and scary!! These are so adorable, I love how they turned out! So much cuteness, I love how they look matte! Thank you! It's one of my favourite few polishes that I do own lol. I wasn't sure if I would have liked it matte either! 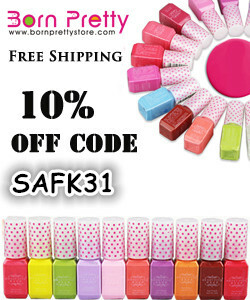 I love these matte! 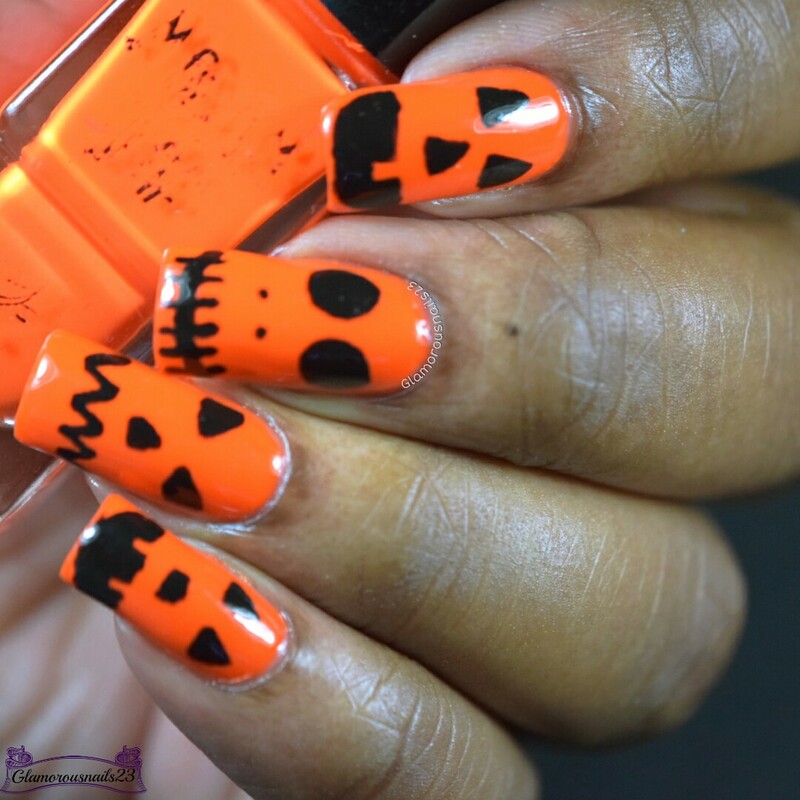 I think I'm going to have to do a Halloween challenge next year so I can do more Halloween nail art. I've not done much this year and it gives me a sad. 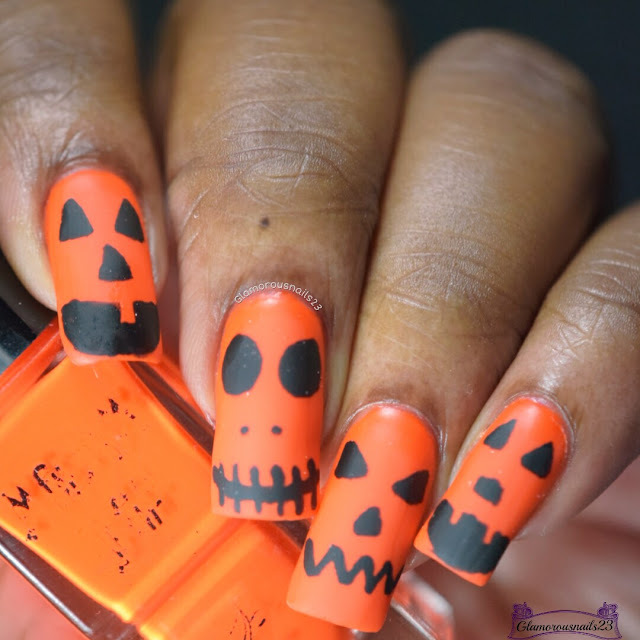 can't go wrong with a pumpkin mani! Thanks Jen! My issue this year was not having enough time lol.